The Cloud Sensual CF-901 mattress by Eliza-Ardonette (EA) is a no-turn mattress offering an indulgently soft, pressure relieving memory foam pillow top featuring EA's air flow technology border allowing moisture to evaporate faster from the surface of the mattress and helping your mattress stay fresh. 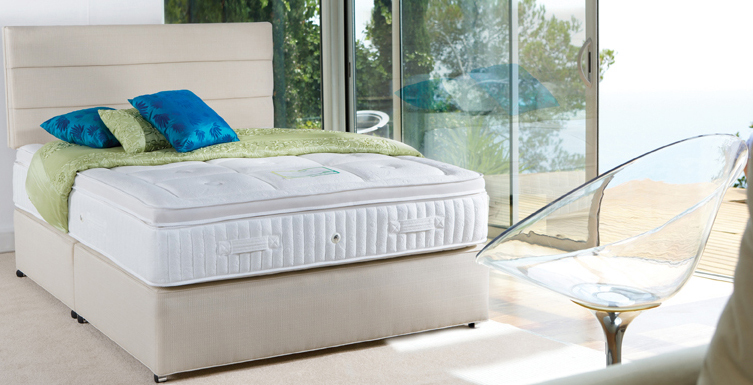 An opulent layer of 70mm memory foam is complimented perfectly by 1400 individually hand nested pocket springs, offering you the ultimate in comfort, support and creating a luxurious feel of unparalleled luxury in the bedroom, along with the perfect sleeping surface. 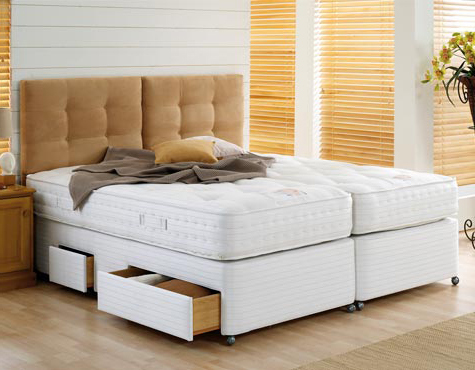 The Cloud Sensual is shown (above) as a King Size (150 x 200cm) with an EA Designer Headboard and is available in a range of sizes, storage options and features a platform top divan.